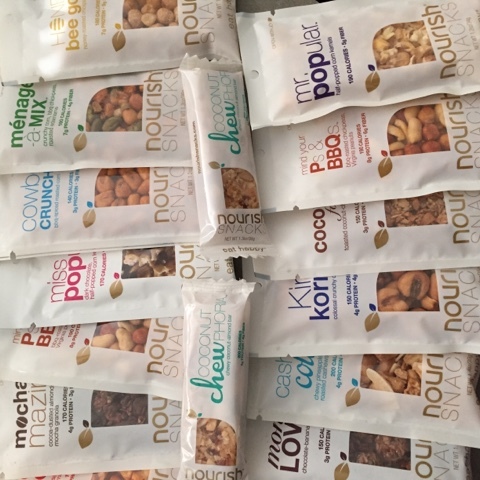 After seeing Nourish Snacks on several bloggers' websites, I figured that either they were really good at targeting all of the people I love to take inspiration from or their snacks literally had to be the bomb. It turns out that these snacks are literally the bomb diggity and I can't believe I didn't buy them sooner. Considering that I travel a lot for work driving all over Indiana and the Midwest, I have tried to find healthy snacks in the convenience stores at the gas station and failed. These snacks are all less than 200 calories, non GMO, and actually delicious! My favorites so far are the Mind Your Ps and BBQs, the Cowboy Crunch and Cashew Colada. I throw them in my purse along with a vegan jerky and I have a quick on the go meal when things get dicey like when they order an all meat meal and I am vegetarian. They are now sold at some Starbucks but the starter pack online isn't a bad deal to try all of the flavors.